If gaps between your teeth are causing you to feel insecure about your smile, Invisalign® treatment may be right for you. Invisalign® is a revolutionary orthodontic treatment that uses clear, discreet aligners to reposition the teeth, close gaps, and transform the smile. Many patients who wish to enhance the appearance of their smile make excellent candidates for Invisalign®. To find out if treatment with Invisalign® for gapped teeth is right for you, schedule a consultation with Skillman, NJ dentist James Altomare. An enlarged frenulum: The frenulum is the tissue that connects the upper lip to the gums. When the frenulum is enlarged, it may run between the two front teeth, causing a large gap to form. Undersized teeth: When the teeth are small in relation to the jawbone, gaps may occur between the teeth. Thumb-sucking or pacifier use: Long-term thumb-sucking or pacifier use during childhood can push the teeth forward, causing gaps to form between the teeth. Tongue thrust: Tongue thrust is a condition in which the tongue pushes against the top teeth when swallowing instead of the roof of the mouth. Over time, this can cause gaps to develop between the upper teeth. Tooth loss: Prolonged tooth loss causes changes within the jawbone, eventually leading to the shifting of the remaining teeth, which may result in the formation of gaps. Invisalign® treatment can permanently close gaps between the teeth without the use of embarrassing metal braces. Invisalign® accomplishes this through the use of a series of clear aligner trays. Aligner trays are custom made using impressions of the teeth and a treatment plan that is developed with 3D modeling technology. Each aligner is worn for two weeks for 20 to 22 hours of the day. After two weeks, a new aligner will be worn to gradually reposition the teeth and close gaps over the course of about a year. Invisalign® may be used alone or with other treatments to close gaps between the teeth. Those who have an enlarged frenulum may require minor oral surgery, called a frenectomy, to reduce the size of the frenulum before Invisalign® treatment can begin. Those who have developed gaps as a result of tongue thrust or thumb-sucking may achieve their desired results with Invisalign® treatment alone, while those who have undersized teeth or suffered from tooth loss may better benefit from alternative treatments. Are unhappy with the smile's appearance: Those who are unhappy with gaps between teeth or alignment issues can improve the smile's appearance with Invisalign® treatment. 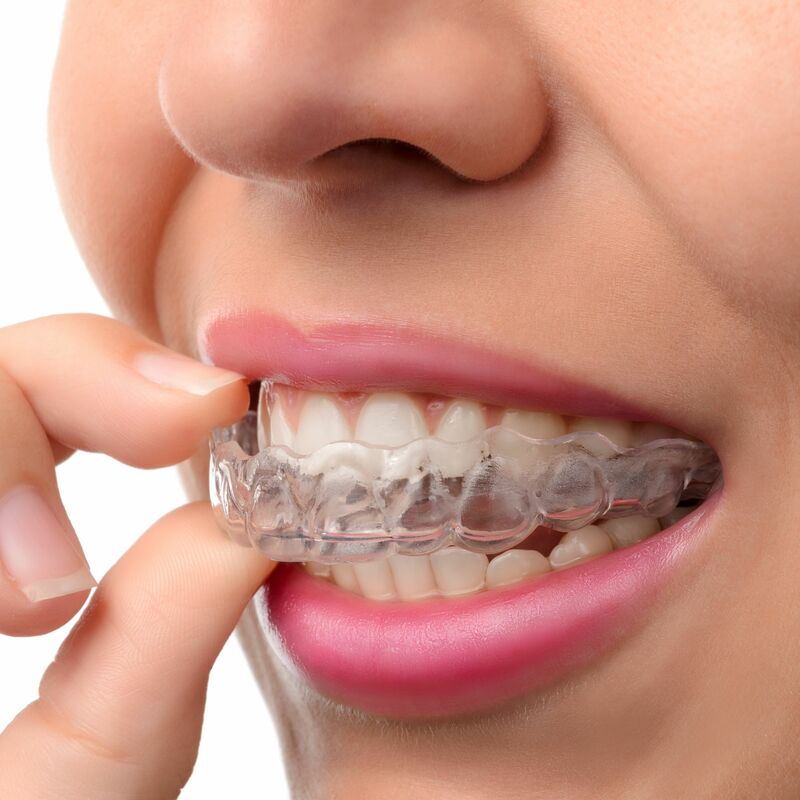 Are considering traditional orthodontics: Those who are considering traditional orthodontics but wish to avoid the embarrassment of metal braces may benefit from treatment with Invisalign®. Do not suffer from severe misalignment: Invisalign® can correct a wide variety of dental issues, but it is not suitable for those with severe misalignment. Suffer from certain dental issues: Those who suffer from certain dental issues, including gaps between the teeth or alignment issues, like an underbite or overbite, may find relief with Invisalign® treatment. Invisalign® treatment can help many who are unhappy with the appearance of their smile achieve the smile of their dreams. If you're interested in enhancing your smile and would like to find out if Invisalign® is right for you, we welcome you to schedule a consultation with Dr. Altomare.